Occasionally Tuesday Morning. : Storytelling On Your Terms. as of the past few weeks, I find myself completely enamored with teenvogue editorials. I cannot tell whether it is the splendid world or perfectly magical people that dwell in it, but they make me want to fly straight to Europe for a complete wardrobe overhaul, after which I wish to enjoy sunny picnics and tea parties by the sea. and the lovely Ali Michael is also completely beautiful and makes me envious every day. what a glorious pale-faced wonder she is! hmm! I really don't know. some people find it strange that I have loved jazz music since a child. i love Ella Fitzgerald! her voice is completely gorgeous, and her music somehow finds a way into the soul. i suppose that is weird? 3. What do you see outside your window? sadly, it is a bit overcast today, but i can see the cherry plum trees that greet my driveway and are home to a boisterous family of robins. 4. What is your favourite color? I must say that though it changes periodically, I love a soft blush pink anytime of year. I also love mint green and cornflower and buttery yellow. I do think that I could paint my entire house in them! oh! my biggest weakness is old black-and-white films. i simply can't get enough of them. 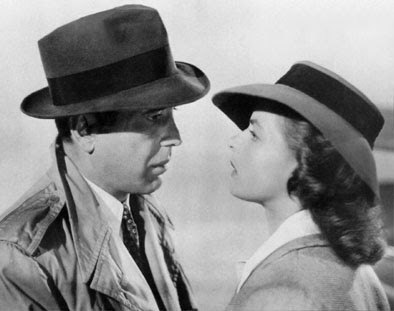 I am watching Casablanca tonight! I also have a fatal soft spot for dear sweet old men that smell like peppermints and pipe tobacco. 6. What animal would you be? 7. What would you like to learn how to do? 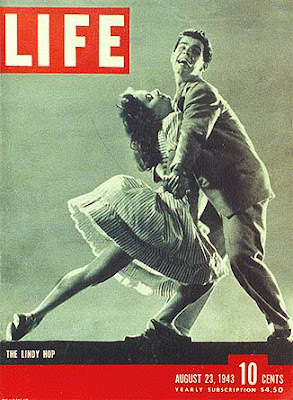 I would very much like to learn how to swing dance! I wish very much to have lived in the forties, the bandstand days. I think I envy my dear grandparents very much! though I am unsure whether I would be good at it, I would still adore to learn. a darling friend of mine has asked me to take classes with him, and I think I would love to try it! 8. What do you want never to happen in life? I would never want to fall out of love with my dear family. and I shouldn't like to become a weepy and lonely old woman either. 9. What is on your bedside table? aside from the fact that I do not have a bedside table at the moment, (it is down in the garage recovering from a recent Humanities project) I usually keep a sufficient lamp and my current read and some knick-knacks. I also love fresh flowers, so whenever I can, I love to keep a vase of them around. 10. What is the last thing you bought? I believe it was either a cup of white tea or a French coin purse. 11. What was your favourite children's book? as a child, I couldn't get enough of The Many Adventures of Winnie the Pooh. I also adored Beatrix Potter stories. 12. Who do you want to meet in person? I would have loved to have met Jane Austen or Beatrix Potter in my lifetime. they are two of the loveliest authoresses, and both my favourite. 13. What did you want to be as a child? ever since I was a little girl, I wanted to be a travelling "gypsy-girl." I loved the thought of travelling the world with nought but a guitar on my back, meeting all kinds of people. that, or a sophisticated english lady, with a small cottage and a garden and a library of my own. 14. What did you dream about last night? most of my recent dreams have involved running away from something for extensive amounts of time, but never towards anything. 15. Which do you prefer, day or night? I prefer dusk, right as the sun is leaving the sky and the stars are just coming out. when the birds are quiet, and the cicadas are chirping a song. it gives me a chance to be quiet and simple about things. to think about the events of the day that has passed. 16. What is your favourite piece of clothing in your closet? right now, I am obsessed with cotton summer dresses and sandals and straw hats. all of them are my favourite! 17. What is your plan for tomorrow? it seems that this week has been a week without any planning at all, so i cannot tell for sure. most likely, i will make a trip to the movie store to return Marie Antoinette and pick up some new ones, and finish some job applications. 18. What would you like to get your hands on right now? I would love to find an old yellow bicycle, like the one my mother used to ride when she was younger. 19. What is your must-have of the moment? I have been on the lookout for the perfect pair of sunglasses. I love my old knock-off wayfarers, but they seem to be nearing their final days. 20. What is your favourite tea flavour? I love white peony and golden chai! they brighten my darkest of days. 21. If you could go anywhere in the world right now, where would you go? I would love to fly to Brighton, to be by the sea in a small cottage where I could read and be quiet and write as much as I want. Your blog is gorgeous, as are the pictures. I also love Ella Fitzgerald. And black and white movies. I'm sorry I read this and didn't comment. oh, thank you dearly. i am not usually one for tags, but i simply couldn't help myself! i adore black and white movies. oh such a wonderful list.